i b i k e l o n d o n: A golden legacy for cycling in London? A golden legacy for cycling in London? 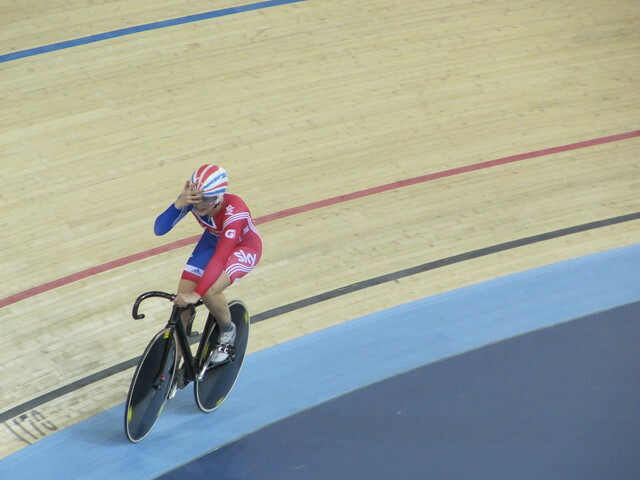 Gold rush for GB cyclists. Gold rush for cyclists of GB? Rumour has it that Boris Johnson will be making a major ‘cycling legacy’ announcement tomorrow - riding on the coat tails of Team GB’s Olympic success and Wiggo’s Tour De France victory to generate some positive cycling headlines of his own after a lacklustre performance in his first term. It’ll be fascinating to see what the announcement contains. More marketing and promotion (he’s already announced a cycling festival in 2013), or a meaningful commitment to invest resources in reshaping London’s streets to make them safer and more attractive for cyclists of all ages and backgrounds? My hunch is that it’ll be the latter, at least in part, announcing some flagship projects, possibly to be delivered in accordance with London Cycling Campaign’s Love London Go Dutch principles – Really Super Cycle Highways perhaps. Anything less will leave him, quite rightly, open to a barrage of criticism that the cycling Mayor still isn’t serious about creating a cycling city. The fine words and rhetorical flourishes will be doing the rounds on Friday, but the devil will of course be in the detail, which may take a while to emerge. I’ll start to get excited if the detail of those flagship projects includes a willingness to remodel junctions and accept capacity reductions for motor vehicles; to permanently reallocate road space where required to create 24hr cycle lanes (not ones that only serve commuters as is the case along much of the current Cycle Superhighways); to connect routes running north/south and east/west by including links through central London; and to extend routes into outer London where there is huge potential for cycling but also a chronic need for cycle infrastructure. 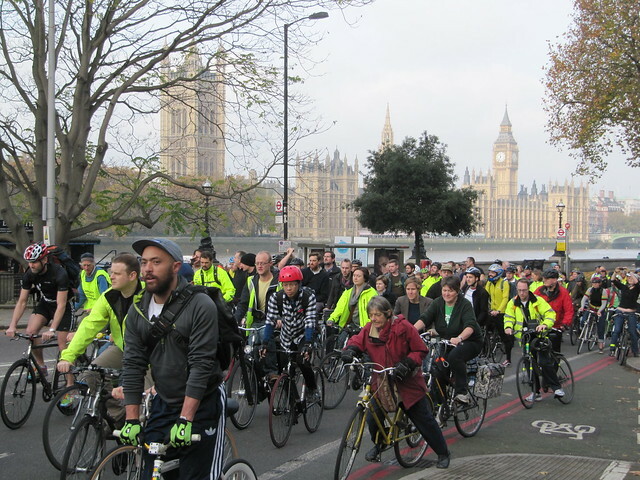 Where next for London's cyclists? I’ll start to get really excited if Friday’s announcement contains more than just a handful of flagship projects. I hope it also includes an ongoing commitment to invest a decent chunk of TfL’s budget in cycling infrastructure and to standardise provision for cyclists across boroughs to create a genuine cycling network. I hope that investment forms part of a wider strategy to reduce road danger (i.e. reduce traffic volumes and speeds) and create better streets and a more liveable London for all. I hope that Boris Johnson remembers he’s Mayor of a city where only 35% of journeys are made by car and in which 42% of households don’t own a car (57% in inner London). Wishful thinking? I hope not. Do you think the Olympics will bring about a cycling legacy in London, or have they been a squandered opportunity to create conditions inviting cycling for all? If you had the budget what would you like to see being done for people on bikes in London? As always, we're keen to hear your thoughts! I'd like to see cycling put at the heart of transport planning. It should be compulsory for road engineers etc to cycle everywhere so they know what it's like to have to fight for road space with bigger/faster/more powerful/dangerous vehicles. In view of the fact that we only have to wait until tomorrow to get the basic sense of his announcement, I guess this is not the time for cynicism. Let's hope that it willbe a significant announcement on infrastructure. However, cynicism or no, I just don't see it being anything about reallocating road space, because that gets in the way of his obsession on smoother traffic flow, which I just don't believe he is going to give up. As a general observation about Olympic legacy, there is one aspect of the Games, or more probably about the media presentation of the games (especially the BBC) which troubles me: every event has been portrayed as a life-or-death matter (or perhaps even more important than that, as Bill Shankly would have said) in which a silver medal is a defeat. Anyone who doesn't win, by definition has lost. People who "only" got silver, or who "only" came 4th, are "devastated". Jessica Ennis had the good sense in her BBC News at 10 interview the other evening to reject the notion of competition being everything, to say that it should be fun, but that is not the general way of the media coverage. What message does that send? I am not sure it is a good one, anyway. I sincerely hope that the Olympic legacy is not just even more medals at the Rio games, but is mass participation in sport, across a wider spectrum of sports, and also of leisure participation and yes, dare I say it, borrowing Chris Boardman's words, cycling not just as sport but also as TRANsport. Paul - I couldn't agree more with your post regarding the medal tables. Whilst it is thrilling that GB is doing so well, and the good feeling this seems to be fostering at the moment, I certainly don't think silver, bronze or even less should be seen as "not winning". I thought Rebecca Addlington did an incredible job in her second race of the Games and worked bloody hard against an incredible field to achieve bronze. Likewise, some athletes from less populated countries may not even qualify for finals but might turn out to be the fastest person from that country in that event - who knows what legacy that might have back home in terms of inspiring a generation? As to Boris and what his announcement will be tomorrow I for one hope that his opinions on cycling infrastructure will have "evolved" (isn't this how Obama described his stance on gay marriage?) I look forward to being proved right and hope I will not be proven wrong. We shall see. Of all the posts / comments / articles in the media this year, about what's needed in London, this just a about sums it up in the most succinct way I've seen so far - we need to stop the tinkering, the one-off projects, the one-off re-designs. Is Boris trying to keep all of the people happy all of the time, as, I don't think this will work if we want to attract lots more to cycling. Looks like " Bojo " has bowed to the " motoring lobby's demands once again ! Takes more than cyclists to get elected to the " PM " post ! Don't hold your breathe about Bojo helping cyclists , he won't ! Super Cycling " blue Cycle routes " , where are they when police vehicles drive in them in the traffic and buses use them when there is room alongside ! Glad i am able to escape to safer climes . I like very much this cycle ride and i didn't miss if telecast on tv.I want more updation of your post.And i would like to forward this to my friends.